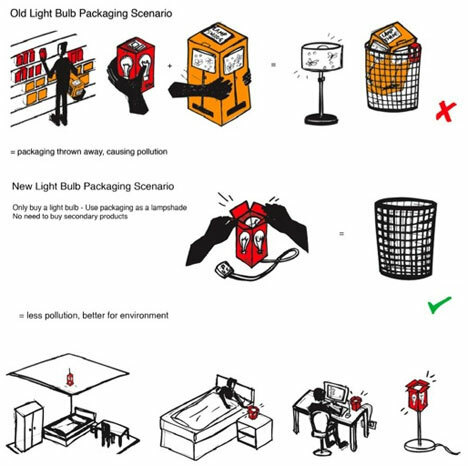 What if you could simply reuse packaging as part of a product rather than sending away for disposal or recycling? Some industrial designers have taken up the challenge with varied results. Like creative flat-pack designs, the constraints of the projects become opportunities for self-expression and to (literally) think outside the box. Tom Ballhatchet is a jack-of-all trades, working on inventions, interior designs and ecologically friendly products. His work is perhaps best understood through a single object that combines all of these interests: his television box that turns into a stand after a quick transformation following the unpacking of its contents. Olivia Cheung is a conceptual artist and product designer who specializes in three dimensional design with an emphasis on popular culture. 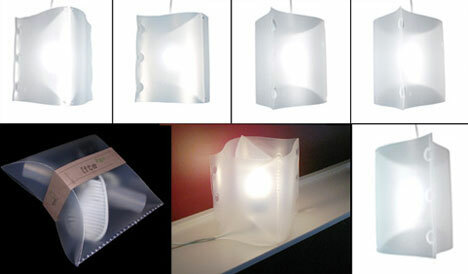 One of her projects involves light bulb packaging that also takes on the function of a lamp shade. 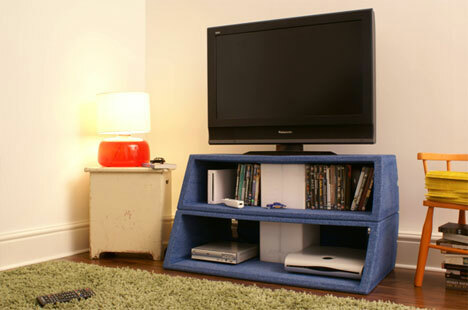 In principle this is simple, in practice it combines entertainment, reuse and feasibility. Knoend is a commercial company that has put into practice Cheung’s design concept, creating semi-transparent and still-elegant packaging that conveniently folds out into a surprisingly appealing minimalist light cover for the purchased fixture. Zero Thick has another solution the the package-as-product problem. It perhaps isn’t as elegant, but it also doesn’t aim to be. 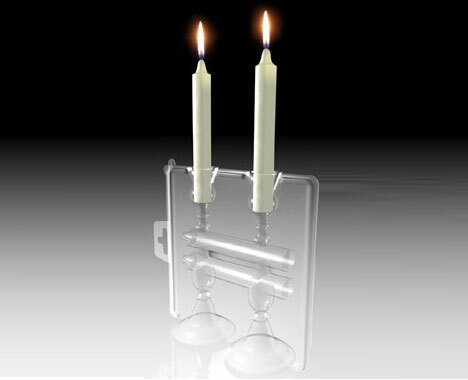 In a very modernist way the packaging is expressive of its multiple purposes and shows both its final use (as a candle holder) and its prior purpose (as a candle package) quite clearly and creatively. 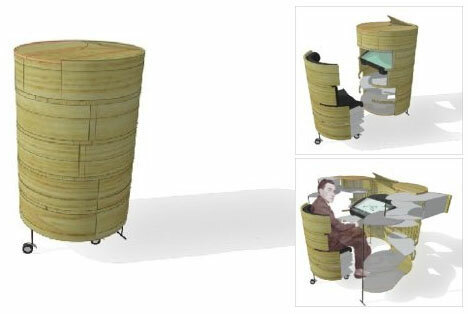 For more compact furniture check out this collection of transformable and convertible urban furniture.